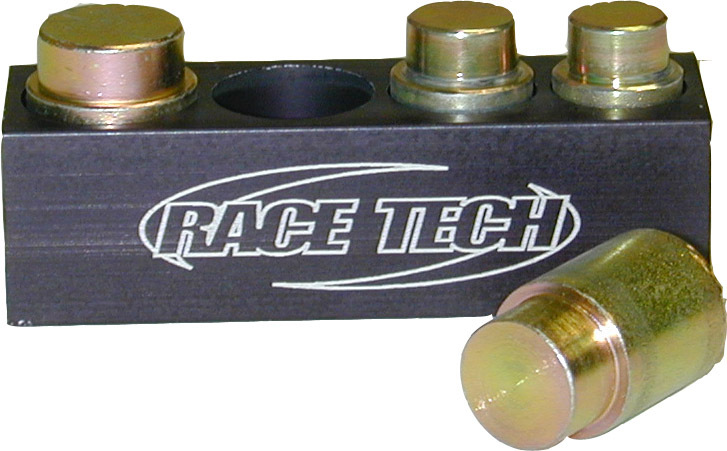 Race Tech is here to support you in doing quality suspension work. This includes education like our Suspension Seminars as well as an extensive line of suspension tools. To find which tools are needed for specific models do a Product Search. Feel free to give us a call for more information. The Shock Body Holding Tool is ideal for clamping WP and Race Tech G3-S reservoirs. Can be sleeved to clamp any smaller tube including Fork Tubes, Shock Bodies etc. Has four pinch bolts and can be used in a press for additional holding power. Machined from Billet Aluminum. Some Damping Rods are difficult to remove because they spin. Making a special tool for each model can be a pain. This simple tool is a tapered aluminum rod. With a tap of a hammer, the taper wedges into the ID of most Damping Rods, late model and vintage. You may be surprised by its holding power! Many forks come apart easily, but this inexpensive tool is great to have when you need it. Based on Paul Thede’s wildly popular Race Tech Seminars taught around the world, this step-by-step guide shows anyone how to make their bike handle the way it should. The Foot-Operated Fork Spring Compressor is designed to work on most sport bikes and road racers with cartridge forks. It allows the spring to be compressed while the fork cap is removed from the rod. This design is wall mounted and really easy to use. Our H-D Adapter is recommended by Factory Harley-Davidson for the disassembly of their cartridge forks. Most street bikes with cartridges require a spring compressor. The factory unit is expensive and hard to use. This portable Fork Spring Compressor can be used on or off the bike on many models. TFSD Series - Fork seal drivers. Split design. These are the standard of the industry. This unique tool offers three different sizes to fit a variety of sport bikes. This BPF Fork Cap Wrench, along with the Cartridge Holding Tool TFCH 06 fit Showa BPF (Big Piston Forks). These tools are a "must have" for maintenance of 09- GSX-R1000, 11- GSX-R600, H-D XR1200X, 09- ZX-6R and 11- ZX-10R. Fits 47 and 49mm Showa forks. Has 46 and 50mm octagons. Removes compression valving assembly on most models too. Fits 48mm KYB forks. Has 45 and 49mm octagons. Fits KTM WP 48mm Dual Chamber forks that require a large 50mm hex. Also includes 29 spacing x 4.8mm Pin Spanner. 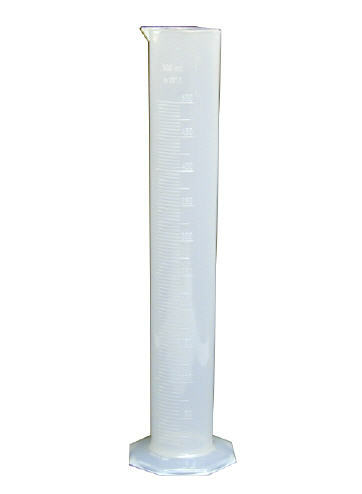 This Nitrogen Gauge does not require a wrench and easily reaches those recessed valve stems without an extension. It comes with a 1/4" flare nut quick coupling to work with the Quick Connect Hose (TSNH 48). This Nitrogen Regulator is excellent quality. It has output to 300 psi and comes with a 1/4" flare nut quick coupling to work with our Quick Connect Hose. The Quick Connect Nitrogen Hose has special 800 psi "finger tight" 1/4" flare nut quick couplings. This simple assembly works perfectly with our Nitrogen Regulator and Gauge. The Race Tech WP Nitrogen Charging Tool works on all WP shocks with a reservoir. This tool is quick and easy to use and a "must have" if you work on a higher volume of WP shocks. This tool is designed for gas charged shocks with self-sealing type rubber valves. Provides quick removal and installation of most shock springs with spring rates up to 8 kg/mm. Features a Shaft Locking Device for safety. TFCH Series - Holds cartridge during disassembly and assembly. View ►Product Search for applications. Designed to remove and install the seal head assembly from the inner fork tube in 41 and 43mm BPFs. It is reversable and has two hex sizes for the two sizes of forks. It allows changing fork springs without disassembling the valving stack. This is a dual-purpose tool for the Showa SFF Air TAC Fork. This tool allows you to remove the Fork Compression Valve Assembly from the top of the cartridge AND, by reversing it, remove the Base Bolt on the bottom of the fork. It also fits KYB Dual Chamber Compression Caps. Removes shock retaining clips without digging into the shock bodies. Made of hardened tool steel. If you work on shocks you'll really like this one! Four sizes available. Mini's, Standard 40-50mm, Street and WP PDS 50mm shocks. Allows the user to easily push shock seal heads into the bodies. Tired of chewing up your shock spring collars when you adjust preload? Well we've got the tool for you! Can be used aggressively on preload adjusting collars with minimal damage. Many people chuckle at this one untill they try it. You'll like it. TSPS T Series - This is the PRO version of the needle removal tool. If you are servicing a lot of WP PDS shocks these are the one to have. It is driven with a T-handle, holds the Needle, and is self-centering in the body. Note: It is ok for the pin diameter can be smaller than the hole it goes in to. The WP PDS Shock Needle Tool removes the Compression Needle from the shock body on early KTM WP PDS shocks. This is the most economical way to go (see TSPS T Series T-handle version) but only available for the early model. Required to install a SWCN 10 Telescopic Needle (15.0 pin spacing x 2.4d pins). For later model PDS shocks see TSPS T Series Pin Spanners. We also offer other Pin Spanners specific to their applications. Voted as Dirt Bike Magazine's 25 Best Tools Ever Invented, the Sag Master is a tool that makes measuring Static "Race" Sag a snap because you read it directly. No more subtracting! ►Check out the Sag Master in action. Also useful in determining proper spring rates and monitoring linkage and seal drag. Comes with instructions and, doubles as a tape measure! Excellent quality Chrome Vanadium, deep socket, 6 point tools. Great price. Unique self-starting design easily threads onto the damping rod. Baffled so the oil runs down the rod eliminating the typical mess. Available as a set. (Works great with the TFSC 01 & 02 Spring Compressors for street applications). Collapsible tube allows setting fork fluid levels with only two hands. Does not require a third hand! The Cartridge Rod Holding Tool allows you to more easily service Showa Twin-Chamber as well as most street cartridge forks. The tool holds back the spring allowing you to get to the bottom nut or the fork cap on the cartridge rod. Plastic design keeps shafts from being marred. Holds fork damping rods, cartridges, shock shafts, etc. Unique design allows installation of dowels into the top of the vise jaws. The holding tools hang on the dowels instead of dropping on the ground when the vise is opened. Race Tech Vise Jaws gently, yet firmly, hold fork tubes, fork legs and other round objects in a “V” down to a diameter of 12.5mm (½”). The “V” is offset and overhangs the edge of the standard vise jaw to provide clearance for large diameter tubes. Made to fit 4 to 6.5” Craftsman vises with removable jaws. These jaws have a bolt spacing of both 2.5 and 3 inches and fit other brands. They can be drilled to fit other makes of vises as well. Pre-drilled for the pins supplied with Race Tech’s Shaft Holding Tools (TFSH Series). Used to install shock shaft bushings into seal heads. The set comes with 12.5, 14, 16, and 18mm drivers. Shock Seal Bullet Tools make installing seal heads onto shock shafts quick and safe. 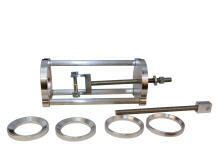 They eliminate the possibility of seal damage when installing the seal head onto the shaft. This tool is a must for serious tuners. This tool is used to tap the bladder cap down to remove the snap ring on late model YZ's eliminating the possibility of damage to the Schrader Valve. This Axle tool, made of hardened tool steel, fits many sport and dirt bikes. Remove and replace fork tubes from fork bottoms (AKA axle clamps, fork lugs, etc). Removes burrs resulting from grinding factory peening during Fork Gold Valve installation. Used to service shock compression adjusters. Note: The punch marks at the threads must be drilled 1 mm deep prior to removal. Stop rounding off the edges of your adjusters. These sockets allow you to perform fork preload changes more easily. Specially designed for fork preload adjuster size and shape. The Fork Compression Adjuster tool is basically a super-stubby screwdriver. It is designed to fit between the handlebar and the top of the fork tube. This pin spanner is a dual-purpose tool for the WP 4CS Fork. It allows you to remove the fork cap AND by flipping it over, the Compression Base on the bottom of the fork. This is a dual-purpose tool for the Showa SFF Air TAC Fork. This tool allows you to remove the Fork Compression Valve Assembly from the top of the cartridge AND, by reversing it, remove the Base Bolt on the bottom of the fork. It also fits earlier KYB Dual Chamber Compression Caps. This tool is really handy for maintenance of the damping and spring on KTM 65s. It is possible to use a TPPS 02 Pin Spanner but this one is much more robust.